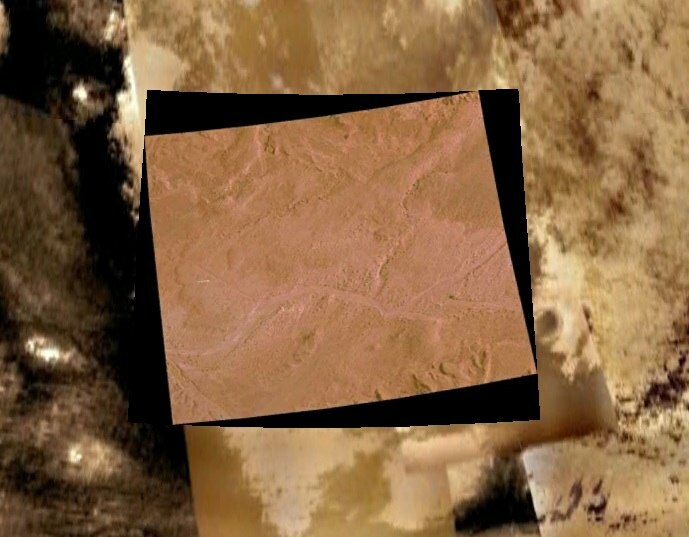 Debunked: Alien Base on Mars: "Bio-Station Alpha"
Discussion in 'UFOs, Aliens, Monsters, and the Paranormal' started by Mick West, Jun 6, 2011. Supposedly it's something that looks like a base on Mars. It's superficially like a long white structure, with various buildings. The problem here is one of pixels. What the above image is is a highly magnified and filtered version something that's just about 13 pixels long. It's like taking a tiny spec on some photo, and blowing it up as much as possible, and then smoothing out all the edges, blurring, and smoothing again. 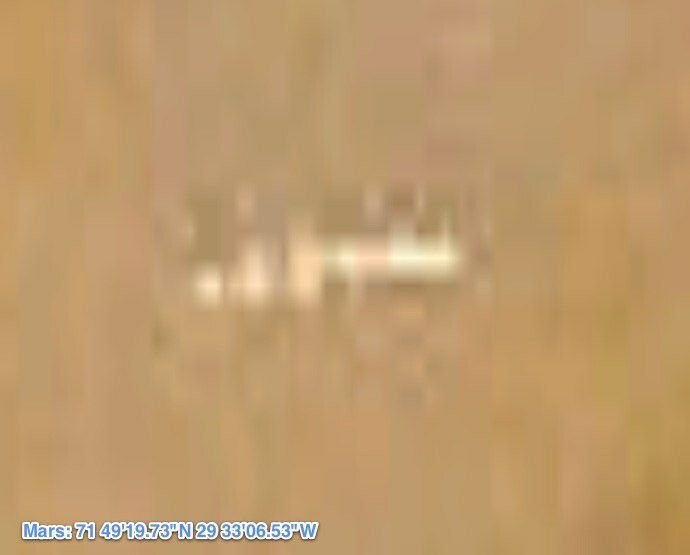 If you look around at the surrounding pixels, it seems clear that any of the "structure" of the object probably just comes from the noise. You'll note the background has a faint grid visible. This is from the compression, and the squares here represent 8x8 pixel squares in the original image. We start off with a high quality picture straight from the camera. 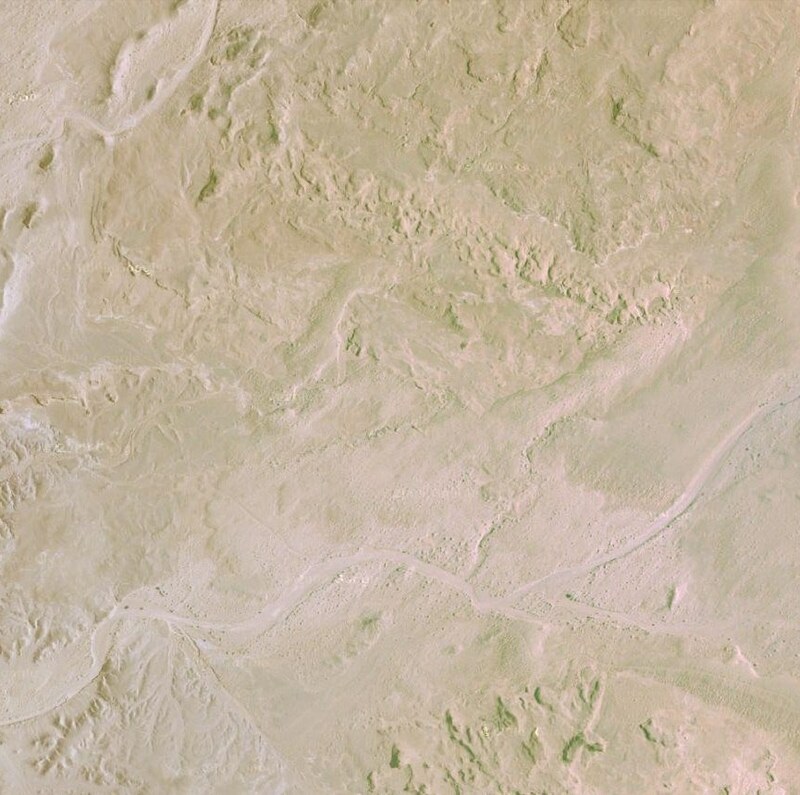 This is photo of the desert to the East of the Grand Canyon, on Earth. I've reddend and darkened it a bit, so this is like the original photo from Mars.  On the right is a zoomed in section of this, showing the individual pixels. Let's introduce a data transmission glitch that results in a few pixels in word (16 pixels) being set to white pixels. You'll see it as a thin horizontal line one the right of the image. 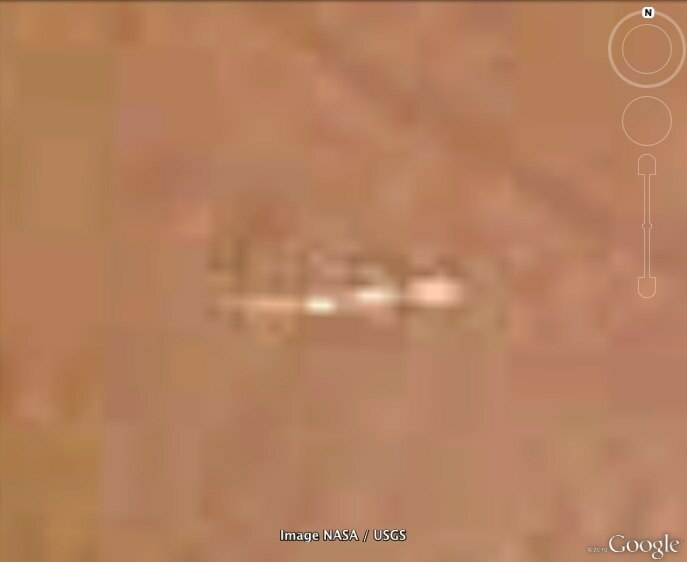 Then we map it onto a bit of Mars in Google Earth, with "Add Image Overlay"
Then we zoom in using Google Earth. 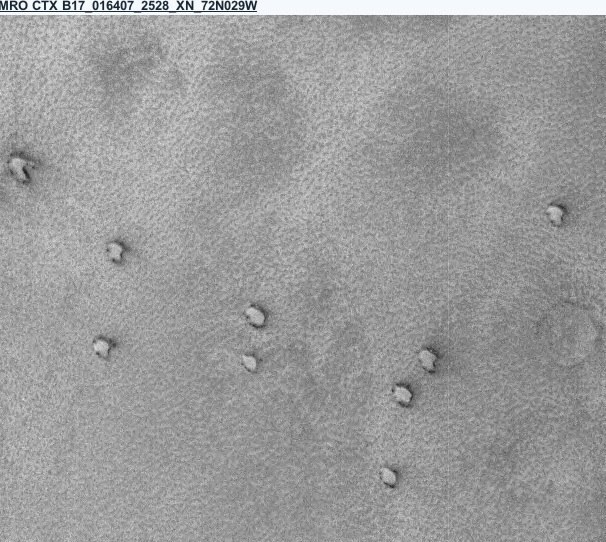 So yeah, maybe it's it space station on Mars. But a tiny little bit of corrupt data seems a lot more likely. 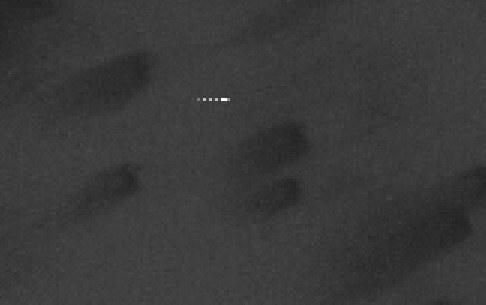 "It looks like a linear streak artifact produced by a cosmic ray," said Alfred McEwen, a planetary geologist at the Lunar and Planetary Lab at the University of Arizona and the director of the Planetary Imaging Research Laboratory. McEwen is the principal investigator of the High Resolution Imaging Science Experiment (HiRISE), a powerful telescope currently orbiting Mars. Cosmic rays are extremely energetic particles emitted by the sun and other stars. For the most part, the Earth's protective magnetosphere blocks them from hitting the planet's surface, McEwen explained. "But with space images that are taken outside our magnetosphere, such as those taken by orbiting telescopes, it's very common to see these cosmic ray hits. 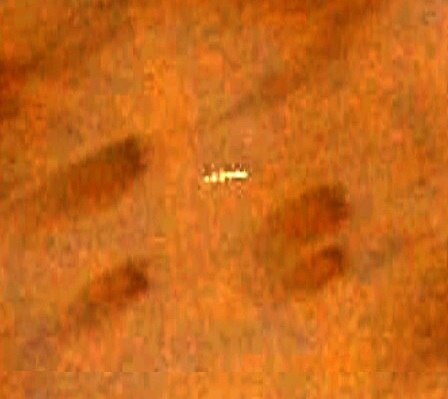 You see them on optical images and a lot of the infrared images too," he told Life's Little Mysteries. 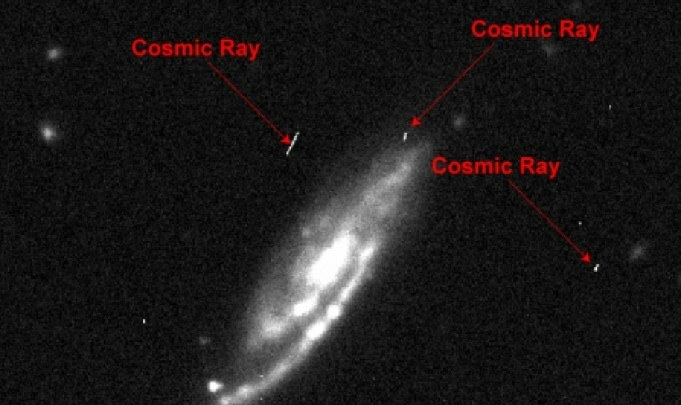 Basically it's a cosmic ray, an energetic charged subatomic paticel , that zappet though the camera, and caused momentary excitation of the CCD sensor, causing a few pixels to be brightened. It's like video static, except there's only one little bit of it, because it was caused by one particle. I'm not entirely convinced. It looks more like corrupt data that a streak of light, especially as it's pixel aligned. I suppose it could be related to how the CDD is scanned. The story made the news on MSNBC. I wish they would do a little more research first.